The New York Times says Chinese hackers probably working for the military or Chinese government have carried out sustained attacks on its computer systems, breaking in and stealing the passwords of high-profile reporters and other staff members. For the last four months, Chinese hackers have persistently attacked The New York Times. On Thursday, The Wall Street Journal announced that it too had been hacked by Chinese hackers who were trying to monitor the company’s coverage of China. It said hackers had broken into its network through computers in its Beijing bureau. "The hackers tried to cloak the source of the attacks on The Times by first penetrating computers at United States universities and routing the attacks through them"
"Evidence shows that infiltration efforts target the monitoring of the Journal's coverage of China, and are not an attempt to gain commercial advantage or to misappropriate customer information," the statement read, according to The Journal. The Times report said that “over the course of three months” attackers managed to install 45 pieces of malicious software, or malware, and Symantec’s anti-virus software only caught and quarantined one of them. 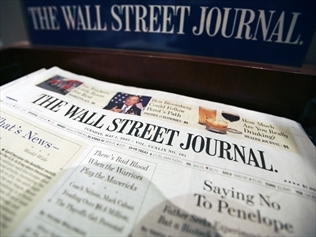 No other details were provided from Wall Street Journal about how the hackers gained access to the computer system. The Times cyber-attack highlights a growing threat to western news organizations that cover the authoritarian Chinese government. China's Ministry of National Defense told the Times that the government didn't have anything to do with the cyber attacks on the Times, calling the allegations unprofessional and baseless.